Don't believe the scammers - Atari's Adventure video game is not rare! Ready Player One offered a useful lesson about video games that has eroded as gaming changed over the decades. When I first discovered Space Invaders at a local bowling alley in the late 70s, I was delighted to see how far I could get on a quarter. This led to more quarters. Video games rode a fine line between engaging gamers to drop more quarters and frustrating them. Games back then didn't end. You didn't beat them. We all knew death was certain. Sure some elite pixel warriors could achieve insanely high scores, some of which caused the actual game to fail and generate infamous kill-screens. Most of us we tried to have as much fun as we could until our lives were no more. We didn't mind dying all the time - those games were addictive and insanely fun. Today, most games have endings. You beat the game and move on to the next. While I enjoy many modern games, I can't imagine beating games like Missile Command, Berzerk, or Defender... and never playing them again! Hell no! These games were tough, but they were so much fun. And they're still fun today. Ready Player One drove home the notion that video games should be about the joy of playing the games, not bragging rights after beating a game. While it is satisfying to beat a game, one hopes the journey provides a lot of enjoyment and that the game will still have re-play value. 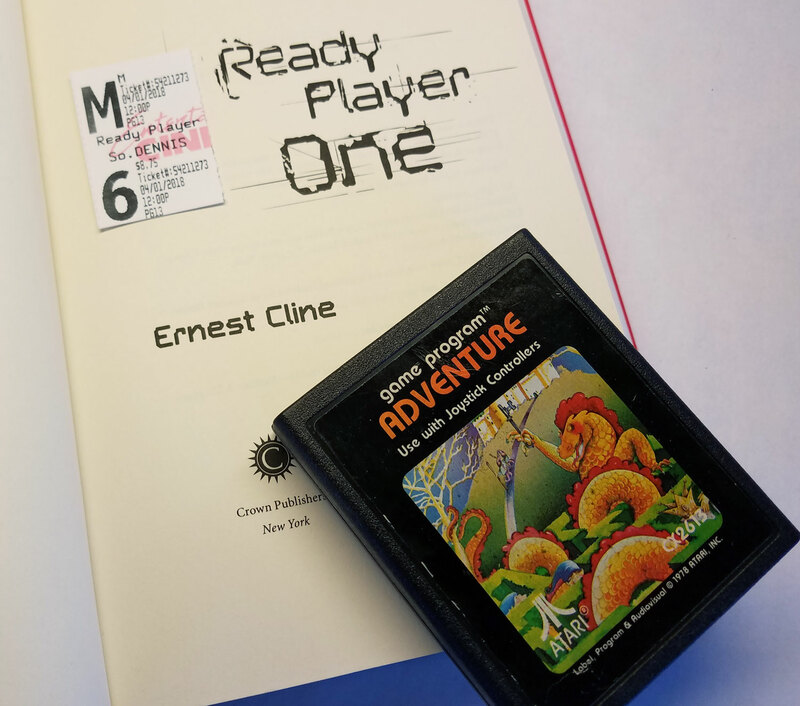 Ready Player One used Atari's Adventure game to highlight the joy of playing games despite the outcome. This has brought the Aventure game to the front of people's minds and e-Bay is full of opportunities to buy the game. 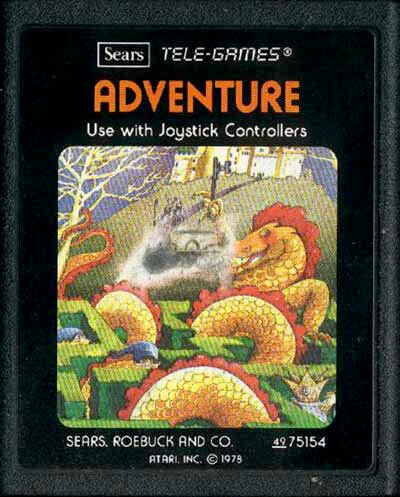 While the Sears Tele-Games release of Adventure is harder to find the cartridge most of us see sells between $5 and $10. Some e-Bay sellers dispute this with pricing from $30 to over $100! If you simply want the cartridge for nostalgic satisfaction, shop around and don't let scammers tell you it's super-rare or that Ernest Cline licked the cart. He didn't and it's likely worth $5.